Spreading the Word: The identity of the future poet laureate is not to be revealed until the Book Fair; shown is the current laureate, David Bromige. Sonoma County has a poet laureate? What's a poet laureate?" Given that many people don't even know the name of their mayor, it can't be too shocking that the poet laureate of Sonoma County doesn't come in too strong over the county's common cultural radar. That's just how it is. But how does one become poet laureate? And what does poet laureate do? And why do we need one? California has one (Quincy Troupe), as does Healdsburg (Armando-Garcia Davila). And we'll be getting a new one in 2004. David Bromige, Sonoma County's current poet laureate, is nearing the end of his term. The laureate-elect will be announced on Saturday, Sept. 13, at the Sonoma County Book Fair in Santa Rosa. And while we can't say who it will be, we can say how he or she got there. The following is a diagram of the process from poet to laureate. "It was partly an honor to bestow on someone who's obviously an exceptional poet living here in Sonoma County," says Bonnie Petty, who's on the Poet Laureate Selection Committee and works with Sebastopol Center for the Arts, the organization that acts as administrator for the position. "But it was really looking for someone who would be an ambassador for the literary arts community in Sonoma County. "It's a nice honor," Petty continues, "but it's kind of dubious: 'Well, everyone in Sonoma County thinks you're a really great poet, but we don't have anything to offer you except a whole lot of people are going to call you up and ask you to come and read'--which can be good and bad." Sonoma County poet laureates serve a two-year term; the new poet laureate will have the position from January 2004 to January 2006 and will succeed David Bromige. 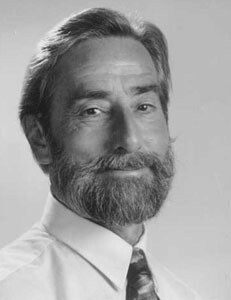 Don Emblen, Sonoma County's first poet laureate, served from 2000 to 2002. There are about 12 members on the selection committee. Nominees are selected by the community. Packets of nominees' work go out to committee members, who have about 10 days to look over the material, then pick out the finalists. Once notified, the nominees prepare a statement and collect more poems. The committee then makes the decision. It sounds more simple than it is. "Five members of the committee represent the five electoral districts of Sonoma County. The problem has been this: How do you get it to be a countywide agreement when the county agrees on so little between its various parts?" says Bromige, who notes that there's one representative for all of West County. "It's a pity that a place like Guerneville doesn't have a vote, since the river has long been a camping-out ground for poets." There are also representatives from Sonoma State University, Santa Rosa Junior College, Sonoma County Library, the Literary Arts Guild, and the Sebastopol Center for the Arts. Former poet laureates have the option to sit on the committee as well. "You've got half a dozen good poets," says Emblen, "and you're looking at their work and arguing with people about it, and it can get quite complicated. But it's like any kind of elective process. You've got pros and cons for every candidate, and all of that has to be talked out." Final selection of the new laureate took place Aug. 27, giving the laureate-to-be several weeks to prepare for the announcement at the Sonoma County Book Fair. So that's how the poet laureate gets there in the first place. But what then? "Exactly what one's supposed to do is up to the poet laureate to find out," Bromige says. "I didn't know what I ought to do," says Emblen, "aside from what I do all of the time. There are just lots and lots of groups that called and wanted me to read, so it got to be pretty busy. I guess one of the main things is to try to increase the public consciousness of literature and poetry particularly. I was on the radio and TV a few times, and there were some nice write-ups by the Chronicle and the local paper. All of that was part of the effort to make people aware that there are a lot of poets working away in this county." One way Emblen got the word out was through the Poetry on the Bus program. "I correspond with a poet up in Seattle, and he was telling me that they had poems on the bus. I thought it was a good idea, so I volunteered to print in large type some short poems. I used some of my own poems, and then Sebastopol Center for the Arts used poems by young people, and I printed those. When David Bromige was appointed for the next spot, I did a bunch of his poems, too." Both Emblen and Bromige have a long history of encouraging budding writers. "They've taught [Emblen at SRJC and Bromige at SSU], they've mentored people," Petty says. "They've been active not only in getting their poetry out there but in creating an atmosphere that encourages new poets and young poets to keep writing." The position of Sonoma County Poet Laureate is still relatively new, though, which presents challenges; it's not as easy as reading a few poems a month and judging a contest or two. "The thing that I find most distressing about Sonoma County is the thing that is wonderful about Sonoma County," Bromige says, "and that is the autonomy of its various regions. I think a lot of people in, say, Sonoma, don't want to blend with the county as a whole and accept a poet laureate who is also the poet laureate of Rohnert Park. It's hard to secure a feeling of unity. People are against growth, so they hold on to the individual characteristics of their town. There's no reason why they shouldn't, but it makes it difficult to be everybody's poet laureate." Even the position of United States Poet Laureate has very vague expectations, though, so it's sort of built into the role. As former U.S. poet laureate Robert Haas put it, "It was a bit Kafkaesque; you're handed this card that says 'Do something.'" How the new Sonoma County Poet Laureate will read that card is yet to be told. David Bromige will read at 10am at Courthouse Square. The announcement of the new poet laureate takes place on the stage at Courthouse Square at noon. The fair runs from 10am-5pm. Admission is free. 707.544.5913. www.sonomacountybookfair.org.